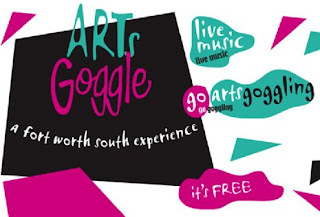 ArtsGoggle is the Near Southside's signature art and music event. Dozens of businesses are transformed into art galleries for the night, hosting artists and musicians from the neighborhood and throughout the region. The event continues to grow in popularity and is drawing large crowds to the Near Southside every spring and fall on the Friday night before the west side's Saturday Gallery Night.